Combination taps can reduce costs by doing multiple operations in one pass. Jarvis offers combination tap drills with self centering points off the shelf. 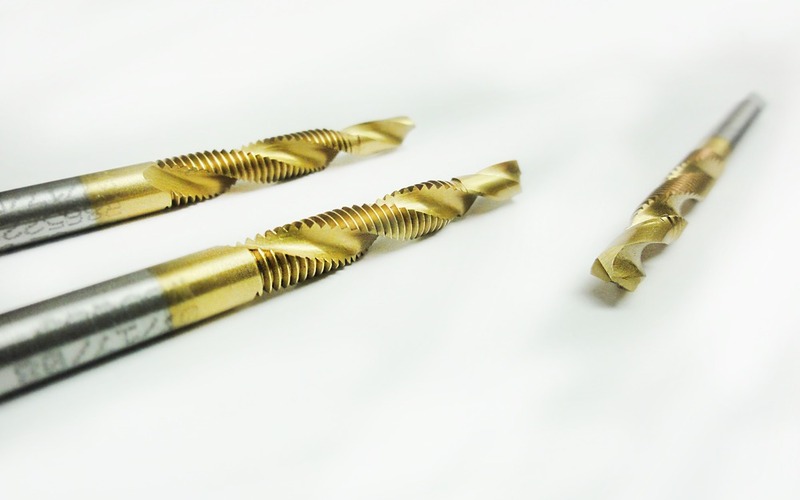 Jarvis also produces combination tap reamers to size holes or remove flashing prior to tapping. This product line is designed specifically for tapping A286. Most of the A286 parts that these taps thread are aerospace fasteners. The combination of the premium high speed steel substrate, the Titanium Carbo-Nitride surface treatment, and the free cutting geometry make this product line the top choice for aerospace manufacturing companies. THIS PREMIUM TAP IS PART OF OUR JARHOOK PRODUCT LINE (AEROSPACE). JARVIS COOLANT-THROUGH / COOLANT-FED TAPS SET THE INDUSTRY STANDARD FOR HIGH QUALITY, TAPPING TECHNOLOGY. 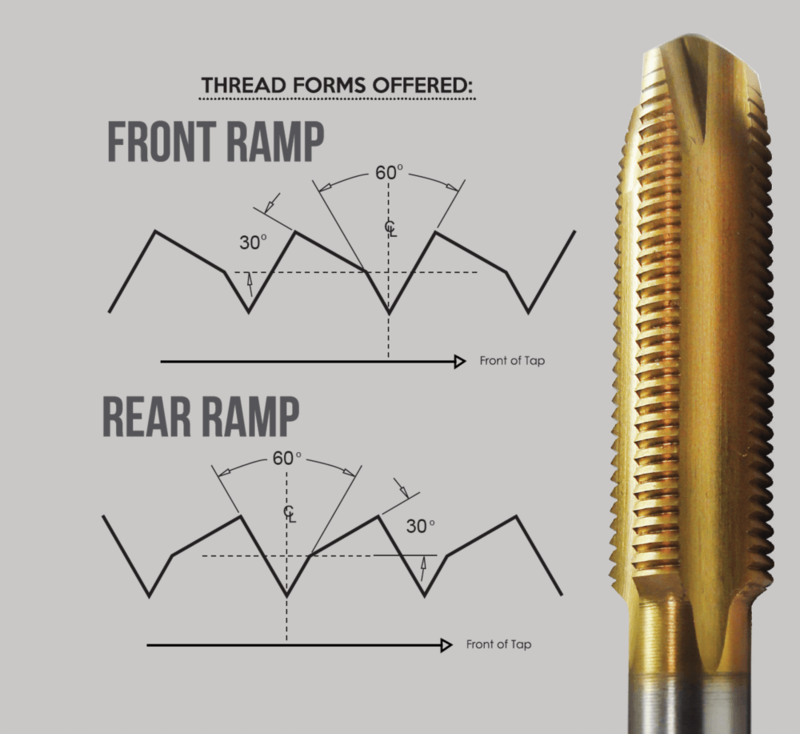 FASTENERS FOR AUTOMOTIVE, AEROSPACE AND GENERAL PURPOSE APPLICATIONS ALL DEMAND CONSISTENT HIGH QUALITY THREADS. 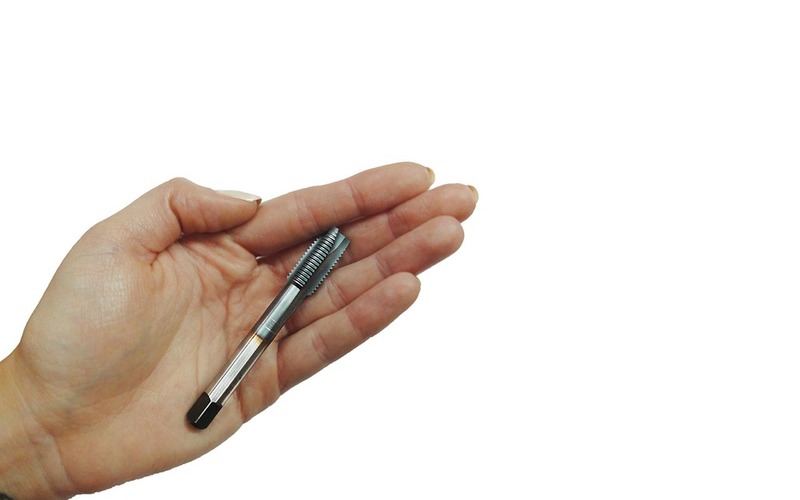 Lucky for you, that’s why Jarvis Cutting Tools exists. To bring to market superior cutting tools that bring out the most in any fastener application. 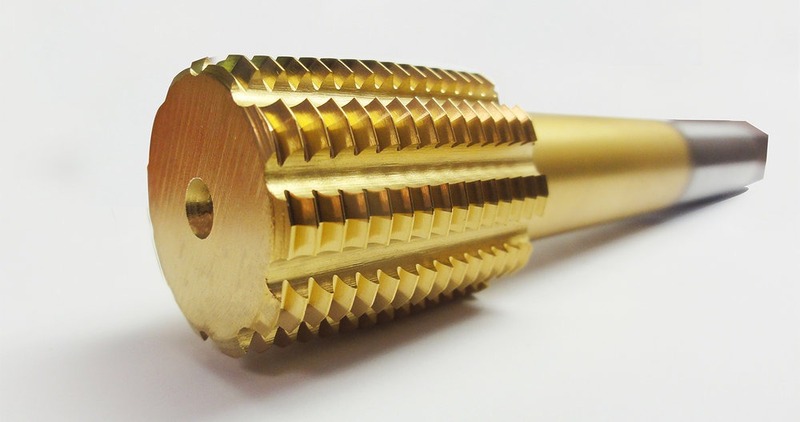 Further, since fastener manufacturers operate with very close profit margins, the taps used must be cost effective by generating long tool life and performing at a high rate, all at the lowest possible cost. One such fastener that is of utmost importance when it comes to the tap is the A286 fastener. For this particular fastener, Jarvis has long been the purveyor of the Jarhook product line of taps. 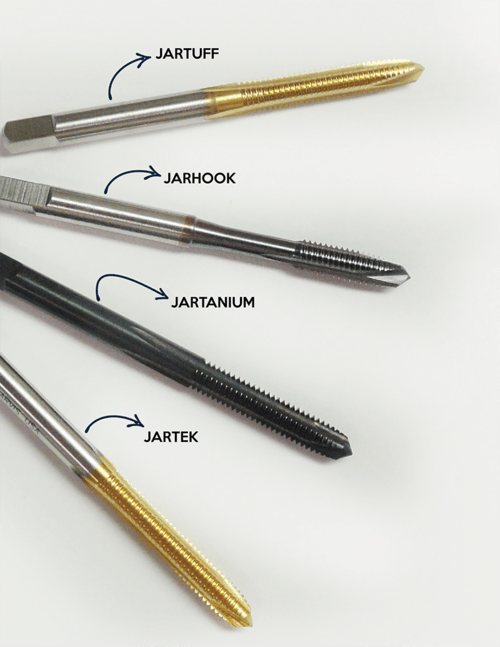 Our Jarhook tap is the best available tap for A286 fasteners. 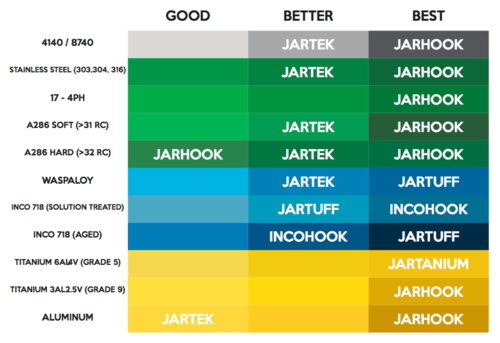 In fact, during extensive testing the Jarhook surpassed all of the competition in tool life and tapping speed. In a controlled testing environment the 10-32 Jarhook A286 tap achieved an average tool life of 1,200 holes at a speed of 1,000 RPM in A286 6-point nuts. This outperformed the competition at this speed by over 30%. The premium A286 Jarhook tap is designed and produced with the combination of premium high speed steel substrate, the Titanium Carbo-Nitride (TiCN) surface treatment, and a free cutting geometry, which ultimately makes this product line the top choice for aerospace manufacturing companies looking for an A286 tap for their applicable fastener needs.